Computer Wont Start in Normal mode, only Safe Mode. Spyware infection. Help plz! Re: Computer Wont Start in Normal mode, only Safe Mode. Spyware infection. Help plz! O4 - HKLM\..\Run: [PDService.exe] "C:\Program Files\IBM ThinkVantage\SafeGuard PrivateDisk\pdservice.exe"
O4 - Global Startup: PASPortal.lnk = ? 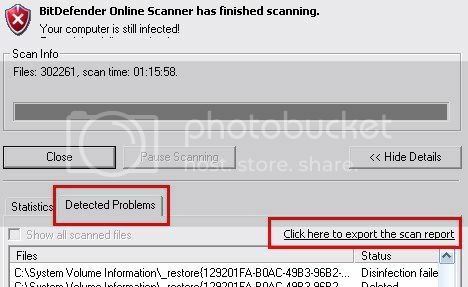 Open HijackThis and select Do a system scan only. If you have an Internet Explorer icon on your Desktop, goto step 2. If not, skip to step 3. Now right click on your desktop Internet Explorer icon and select Properties. Then click the Programs tab and then click "Reset Web Settings". Now go back to the General tab and set your home page address to something useful like www.computerhope.com. Click Apply. Click Delete Cookies, Click Delete Files and select Delete all Offline content too, Click OK. When it finishes Click OK. Then skip step 3. If you do not have an Internet Explorer icon on your Desktop, click Start, Control Panel (for some systems it may be Start, Settings, Control Panel), Internet Options, Programs tab and then click "Reset Web Settings". Now go back to the General tab and set your home page address to something useful like www.computerhope.com. Click Apply. Click Delete Cookies, Click Delete Files and select Delete all Offline content too, Click OK. When it finishes Click OK. Restart the computer to register the changes. Click I Agree to the license and then install the ActiveX control. Please DO NOT change the Scanning Options. That will make your logs huge and we don't need to see clean files. Select Start Scan to begin. This scan can take a while so please be patient and let it complete. Click-on the Detected Problems tab. You will have to upload the file online. The forums will not accept HTML. Select Browse and locate the file. Copy the link next to Your link to the file: and post the link back here. In Microsoft Windows Vista, you must open the Web browser using the Run as Administrator command. From the Desktop right click the icon to open the browser and choose Run as Administrator. The program will then begin downloading the latest definition files. Once the files have been downloaded locate the Scan Settings and have it scan My Computer. The scan will take a while, so be patient and let it finish. When the scan is done, in the Scan is complete window, any infection is displayed. Next, in the Save as prompt, Save in area, select: Desktop. In the File name area use KScan, or something similar. Copy and paste the Kaspersky Online Scanner Report in your next reply. Note for Internet Explorer 7 users: If at any time you have trouble viewing the accept button of the license, click on the Zoom tool located at the bottom right of the IE window and set the zoom to 75%. Once the license is accepted, reset to 100%. ive been running the scanner for a long time now and it got stuck at 2h25min and 58seconds......its already forund 1 threat and 4infected objects, but the scan hasnt moved in a long time. The Duration has stayed at 2:25:58 for a long time. However it has ed scanning the C drive and is near the end of the D drive (scan is 81% done) Should i click stop scan? will that still allow me to view the report? i ran it twice, both times it got stuck on the same file in my d drive. "frag-document.r00" and the second time on "frag-document.r02" Ill tell the scanner to only scan the C drive which is where the infection was found both times, becasue without finishing the scan i cant view the log. That's a torerent file that it's getting stuck on. Boot the computer into Safe Mode and run Dr Web. Download DrWeb CureIt & save it to your desktop. Double-click on drweb-cureit.exe and then click Start. An Express Scan of your PC notice will appear. Under Start the Express Scan Now Click OK to start. This is a short scan that will scan the files currently running in memory. If or when something is found, click the Yes button when it asks you if you want to cure it. Back at the main window, select the Complete scan button. Then click the Green Arrow Start Scanning button on the right and the scan will start. Click Yes to all if it asks if you want to cure/move any file(s). When the scan is done. In the Dr.Web CureIt menu on top left, click File and choose Save report list. Save the DrWeb.csv report to your Desktop. Important! Reboot your computer because it could be possible that files in use will be moved/deleted during reboot. The link you gave me for DrWeb CureIt doesnt work for me. it tells me that firefox cant find the server at ftp. do i have to download it in "safe mode with networking" or should it download in normal mode (which is what i tried)? ya that worked, thanks. ill run in safe mode and scan then get back to you. Heres the log from the scan.